By Ron J. Jackson Jr. and Lee Spencer White. Norman: University of Oklahoma Press, 2015. Pp. xxiv + 325. Fifteen illustrations. Endnotes. Bibliography. Index. Cloth $29.95. ISBN 978-0-8061-4703-1. If there is one iconic structure which is recognized by everyone all over the world, it is the Alamo of San Antonio, Texas. Of course, some might say the Statue of Liberty holds that honour, but certainly the image of the Alamo is recognized by all, even those who have never been to San Antonio. And equally recognized world-wide perhaps are the names of three of the figures who died in the Alamo: David Crockett, James Bowie and William Barret Travis. Whether it is due to effective history teaching or John Wayne’s motion picture, the structure and the defenders have earned lasting fame. A lesser known figure who participated in the struggle that March 6, 1836 day was Travis’s man-servant, or rightfully slave, known to all as Joe. For a slave, his birth name didn’t matter: what did matter was who owned the slave, and the slave took the master’s last name as his own, until the slave had a new master. Joe, the Alamo survivor, one of seven children of a mulatto mother, was born in 1815 near Lexington, Kentucky. Elizabeth was the mother’s name, and she birthed six sons and one daughter, each from a different father. A female slave was property in every sense of the word, hence the multiple fathers. Of her seven children two became familiar figures in history: William, who became William Brown after his miraculous escape to Canada, eventually wrote his autobiography which was published in 1848. His effort was the first such book to be published by an African American. William’s younger brother is better known of course because he was in the Alamo that March 6 day when Santa Anna attacked and put all to the sword, save the women and children and the slave. Ironically, Mexico, the country which owned the land we know as Texas today, had outlawed slavery, in its constitution if not in real practice. When this reviewer first learned of the book he wondered: how could anyone research and find enough material about a slave who probably could not read or write, for a book? One might at best gather sufficient material for a journal article, but a book length study? That proves that with dedication and time and a great deal of researching one can find material on subjects which to the average person would be impossible to discover. The two authors have proven that those three characteristics – dedication, time and research, plus some luck, can unearth gems of information. Ron J. Jackson Jr. is described as a “professional journalist” while Lee Spencer White is an “independent researcher.” The pair have produced a masterpiece, not only with their writing style but with what they discovered which is now available for not only the Alamo buff who reads everything related to the subject, but to those who appreciate good history and who love a good mystery as well. Unearthing the life of Joe, the slave, was indeed no different than solving a mystery. One of the constant concerns for a slave was whether he or she might be placed on the auction block. A new master might be cruel or kind, but the slave never forgot that to survive, obedience and subservience were constants. If the slave was fortunate the master might place him or her in the house, a much easier life than the field hand slave, but still slavery was the reality which was continually there. Jackson and White have uncovered wonderful material on Joe, the slave, who passed from the original owner, a Dr. John Young, then to an Isaac Mayfield, ultimately becoming the property of William Barret Travis who took his property with him from the Alabama plantation to find a new life in the new land which would become Texas. Texas offered a new life, not only free land but also the opportunity to begin again. This was true for hundreds of settlers, men and women free to start life afresh. For the slave there was no such freedom. With the revolution against Mexico starting, Travis chose to fight as a leader, and along with James Bowie were co-captains originally. Even with David Crockett coming in and joining the fight, Travis was still the leader, especially when Bowie fell ill. Hope was high as the defenders of the Alamo believed they would receive reinforcements, but only a handful came and they perished along with some 180 others. Fortunately the few women and children, and Joe the slave, who were in the walls survived. Suzanna Dickinson, whose husband lay among the dead, and her child were sent to relay the message that the Alamo had fallen. She managed to walk to what she thought was a safe place – Gonzales – only to find that it was in flames as Sam Houston had ordered it to be destroyed to prevent it from falling into Santa Anna’s hands. The slave Joe accompanied her to relative safety in what became known as the Runaway Scrape. Suzanna Dickinson became relatively famous as the “Messenger of the Alamo” and her tiny child became known as the “Babe of the Alamo.” She ultimately found a worthwhile husband and comfort in Austin, the capitol of Texas. Joe never attained the fame but he managed to survive another difficult experience. From Gonzales he chose to return to the plantation of his now dead master and reached Nicholas Travis, the brother of William Barret. There, after a dangerous trek across Louisiana, Mississippi and to Alabama, he told his story. Perhaps the most impressive aspect of this book is the research that the authors devoted to the subject. Initially it would seem an impossible task, to find much of anything on the life of a slave. Jackson and White have proved what gems of historical knowledge can be unearthed if willing to devote a great deal of time and effort. 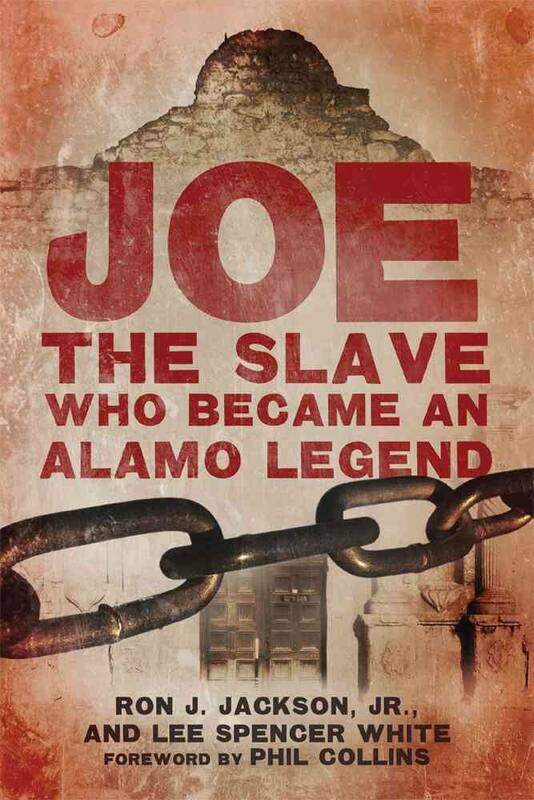 Every reader of Joe: the Slave who Became an Alamo Legend may be inspired to research farther into the life of a well-known – or forgotten – historical personage. There are no doubt many Joes out there whose lives are now basically unknown, but may be unearthed by some fortunate independent researcher or professional journalist.